The federal government is making it more difficult and more expensive for companies to turn to foreign workers to fill job vacancies in Canada. 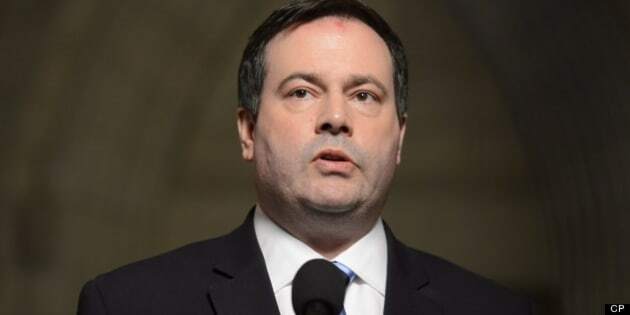 A number of changes to the temporary foreign worker program were announced Monday by Citizenship and Immigration Minister Jason Kenney. The program is jointly managed by his department and by Human Resources and Skills Development Canada. The expected changes came after a CBC Go Public story earlier this month on use of foreign workers by Royal Bank which sparked public outrage and brought renewed focus on the temporary foreign workers program. The controversy dominated Parliament Hill and had the government defending the program but also promising changes to it so that it is not abused. Kenney said the government is responding to concerns about how the program is being used and is making changes to ensure that Canadians get the first crack at available jobs. "The temporary foreign worker program was intended to fill acute labour shortages on a temporary basis only, not to displace Canadian workers," Kenney told a news conference in Ottawa. One of the key changes is a new fee that will be imposed on employers when they apply to the government for a labour market opinion (LMO). A positive labour market opinion must be obtained in order for employers to bring foreign workers to Canada. It takes a number of factors into consideration including what potential benefits hiring the foreign workers would have on the labour market and what efforts were made to hire Canadian workers for the positions. Some work categories are exempt from the LMO requirement. Professionals and business people, for example, who come to Canada as part of international agreements or workers who come as part of an exchange program, do not need a LMO. The amount of the fee for employers has not been set yet. The government also intends to increase the price of a work permit for foreign workers. It is currently $150. Kenney said the measures will help ensure that employers do more to recruit and train Canadians before looking abroad. "What we're trying to do is put more financial pressure on employers to look to and hire Canadians first," Kenney said at a news conference. Another change affects how much employers must pay temporary foreign workers. The government is getting rid of a rule that allowed them to pay foreign workers up to 15 per cent less than the prevailing wage for a classification of job. Employers did have to offer foreign workers the same wage as Canadian workers doing the same/ job in the same geographic region, but the 15 per cent rule drew a lot of controversy and confusion. Kenney said the rule never meant that foreign workers were paid less than Canadian workers when they were doing the same job at the same workplace. He said less than five per cent of employers used the flexibility that was given to them. "Given the confusion about this and given the fact that it has not been used we decided to end the pilot," he said. Kenney said there will still be wage differences among employees depending on their experience level. "In any workplace there's going to be a range of wages and salaries. If someone is a new hire, and starts at a starting wage, they are going to be paid less than the average. But we hope this will have the effect of raising overall wages and salaries," said Kenney. Another change that will slow down the growing number of temporary foreign workers who have been coming to Canada in recent years is the suspension of the accelerated process for obtaining a LMO. The LMO is also being changed to include new questions to ensure that no Canadian workers will be displaced by hiring foreign workers. The government is also increasing its authority to suspend or revoke permits for employers or workers if it feels the program is being misused. "This will give us the flexibility to respond to emerging situations and when necessary take immediate action against those who don't follow the rules," said Kenney. A further change to the rules proposed Monday is that English and French are the only languages that can be stated as part of a job's requirements. Kenney said his government has taken quick and decisive action to respond to concerns about the program and he acknowledged that some companies will be opposed to the changes. "This will affect their businesses but we're sending them a message that I think Canadians want us to send: do everything you can to find Canadians first," he said. The Canadian Chamber of Commerce immediately reacted to the changes by saying they will particularly hurt small businesses. "While they would much rather employ Canadians, or permanent immigrants, these businesses often have no choice but to look to temporary foreign workers to take jobs that would otherwise go unfilled," the chamber's president, Perrin Beatty, wrote on its website. There could be more changes to come. The government plans to do cross-country consultations on the program and it says it will closely monitor the effects of the measures announced Monday. Erin Weir, a labour economist with the United Steel Workers Union said in an interview earlier this month that some companies go through the motions of pretending to hire Canadians in order to get a positive labour market opinion. "Nowhere in the country is the situation more serious than in Alberta where clearly the temporary foreign worker program is being used to displace Canadians and to set off a race to the bottom in terms of wages and conditions," said Gil McGown, the group's president. McGowan said at a news conference on Parliament Hill that the program is driving down wages and "giving employers an excuse to abdicate their responsibility to train the next generation of Canadians." McGowan said his group is not reassured by the initiatives being announced Monday and that the government is just trying to give the appearance that it is doing something to respond to public opinion.